Thank you for allowing me to continue to send you email. Like I promised, nothing lame or desperate. Here’s a very cool little spreadsheet to help you calculate out how much money you’ll need to have and do everything you want! Click the image to see what it looks like. Click the link to download a free copy of this handy and fun little spreadsheet. I do a lot of stuff like this. Hopefully, you’ll get the idea that my software tools, book and newsletter will help you in unusual and beneficial ways above and beyond what the other guys are trying to sell you. 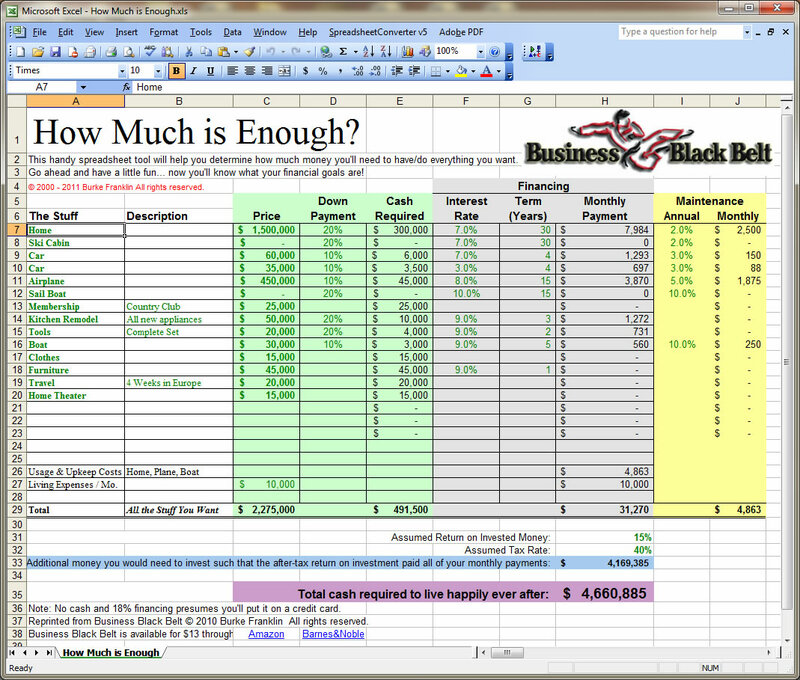 If you want to do this exercise for a start-up business or expansion, then you’ll want to use BizPlanBuilder business planning software — see the Capital Requirements page in the financial model.